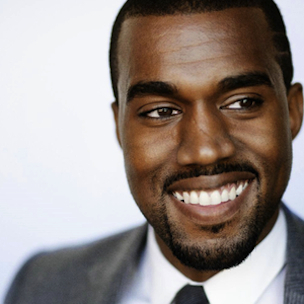 Kanye West is an American rapper, songwriter, record producer, film director, entrepreneur, and fashion designer. 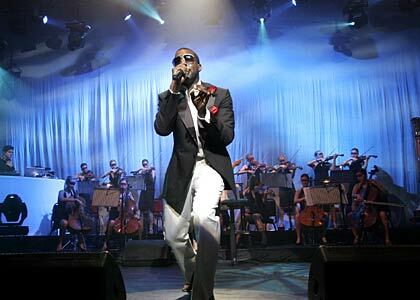 West first gained prominence as a producer for Roc-A-Fella Records; he achieved recognition for his work on rapper Jay-Z’s The Blueprint (2001), as well as hit singles for musical artists including Alicia Keys, Ludacris, and Janet Jackson. His style of production originally used high-pitched vocal samples from soul songs incorporated with his own drums and instruments. He later broadened his influences to include 1970s R&B, baroque pop, trip hop, arena rock, house, folk, alternative, electronica, synthpop, industrial, and classical music. West is one of the world’s best-selling artists of all time, having sold more than 21 million albums and 66 million digital downloads. He has won a total of 21 Grammy Awards, making him one of the most awarded artists of all-time and the most Grammy-awarded artist of his age.Time has named West one of the 100 most influential people in the world. He has also been included in a number of Forbes annual lists. Three of his albums rank on Rolling Stone’s 2012 “the 500 Greatest Albums of All Time” list.